CETel, a German provider of global end-to-end communications solutions, has been awarded a three-year contract in the Oil & Gas industry by a company operating in the EMEA region. Once again, CETel demonstrates the company's ability for smart, efficient and economic network design and thereby winning this deal in a competitive Middle Eastern and African market. 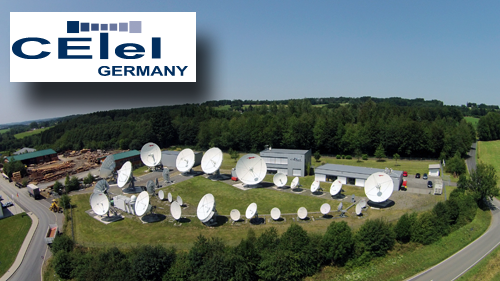 CETel engineers designed a hybrid network consisting of SCPC and meshed connections to deliver seamless connectivity to exploration and production sites, using C-band capacity in conjunction with a 9 meter antenna at the CETel Teleport in Germany. The network carries voice and data applications and ads up to 45 Mbps in total. To achieve highest satellite bandwidth optimization, PCMA (paired carrier multiple access) technology is applied. The agreement also includes optimizing the existing network to fit the new network design and technology. Therefore, investments in satellite communications hardware and software are necessary and are performed through CETel’s experienced field service providers. After the implementation, the customer will benefit from a fully-managed end-to-end communications network that will be monitored and supported from CETel NOC operating 365/24/7. Guido Neumann, Managing Director of CETel, stated that securing another major deal in the energy sector demonstrates CETel’s strong capabilities in finding the best fit for individual customer requirements. In communications network design, the one-fits-all approach is often applied but is many times not the best solution. Finding the very best fit independent from any limitations with regards to suppliers and operators is CETel's key to success.